This clean design will help you make positive impression on the visitors. Slider images are supplied with descriptions. Banners give the possibility to filter products by room solutions. Featured products, arranged in four columns, are provided with two call-to-action buttons. Footer contains subsidiary menu, payment and contact information. 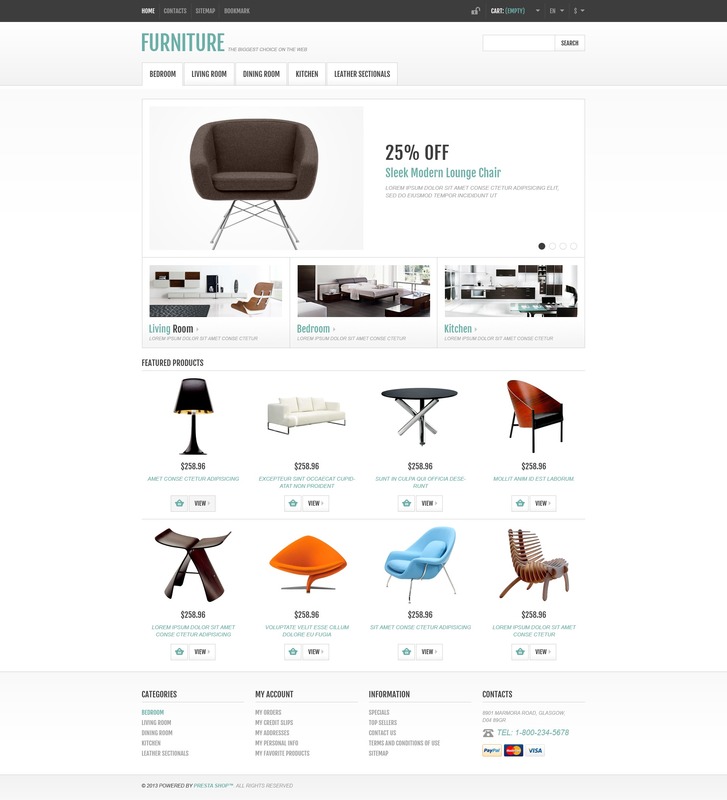 The theme is best suited for furniture, interior and exterior design stores.